declination, azimuth and altitude of the sun at a glance, the approximate time of sunrise and sunset and for any day, the date, season or time of the year. 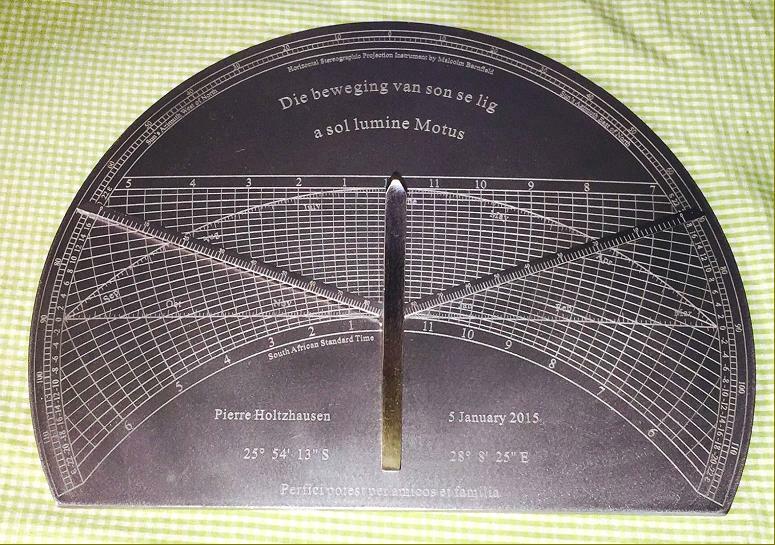 It is corrected for both the Equation of Time and longitude so reads directly to South African Standard Time. It is an excellent tool for use in teaching students of navigation, cartography and solar powered building design an understanding of solar movement.